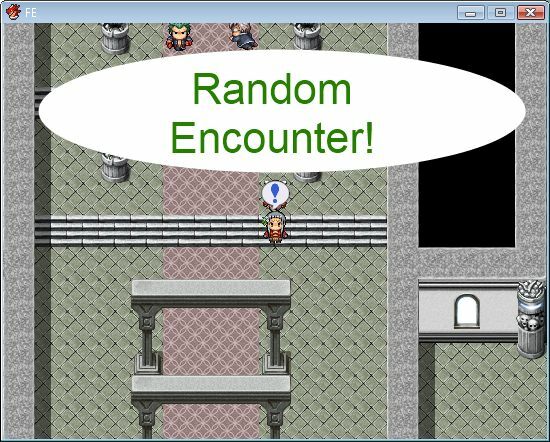 This script displays an encounter balloon over your player character on the map whenever you are about to encounter a random battle monster. 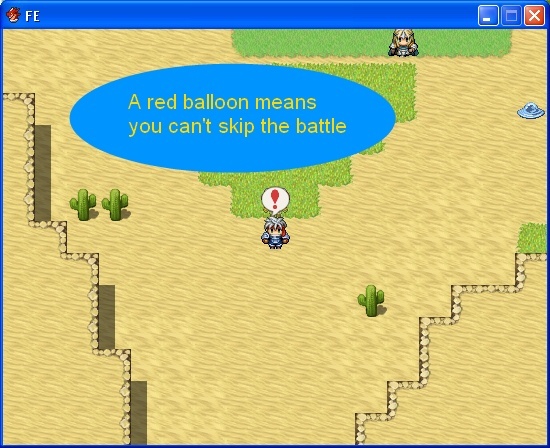 When this balloon is displayed, the player can choose to skip the random encounter by pressing a specific button. This only applies to random encounters. There are several configuration options, though the defaults should be fine for most purposes. whether you can skip the battle or not: if it is red, then you can’t skip. assumed to be not skippable. In order to skip battles, you must have enough “encounter points”. The encounter points are stored with the game party, and tied to a variable of your choice. 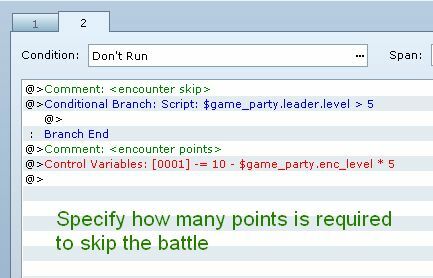 In the configuration, you can set the max amount of encounter points the party can have using a formula. Each troop may require a certain amount of encounter points in order to skip. amount of encounter points required. This is a formula. In addition to encounter points, a party also has an encounter level. This can be used in the encounter points formula. If disabled, random encounters will be processed as usual. This script requires an “encounter balloon” spritesheet for the actual balloon animation. The script by default uses the one up there. …regardless of the players current [encounter points]? I have done everything you say to implement this. The conditionals, and the points requirements work. To make sure I am doing this correctly… When the balloon shows up, I am supposed to hit the ‘c’ or ‘C’ key (if the Skip_Key = :C) and the battle should never process, and any cost is subtracted from the (Points_Var) value. Correct? To clarify, the actual variable used in the ‘Control Variables’ action of the event page doesn’t matter, and I can set it to ‘0’ if I want the encounter to always be escapable, regardless of the players current ? All key configurations I use are “game key” settings. You can look these up by hitting F1 while the game is running and going to the “Keyboard” tab. The “C” key by default is bound to the Z and ENTER keys. 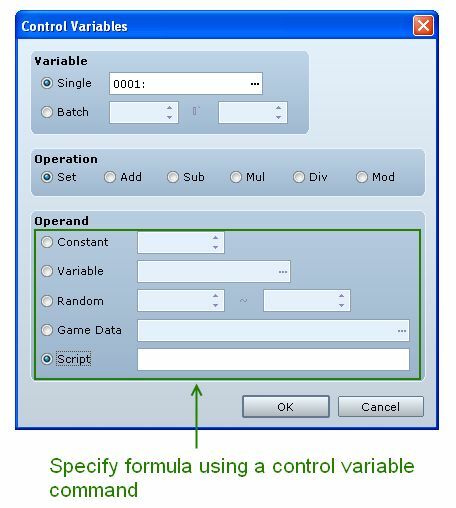 When you skip the encounter, it will deduct the appropriate cost from the designated variable. Yes, if the encounter skip cost is 0, you can always skip it, even if you have 0 points. Note that your points will never go below 0. Thanks for taking the time to clarify that! I keep forgetting that the game is meant to be played with a game pad… Everything is good now. I hope I am not bothering you with my ignorance. It shows that my instructions are probably unclear and assume users know as much about RM scriptng as I do, which is an unreasonable assumption. It is not hard to include “Z key on keyboard” for example.